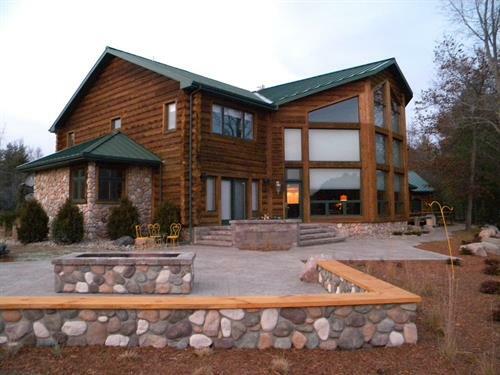 Spectacular Gated Property nestled on the Menominee River. 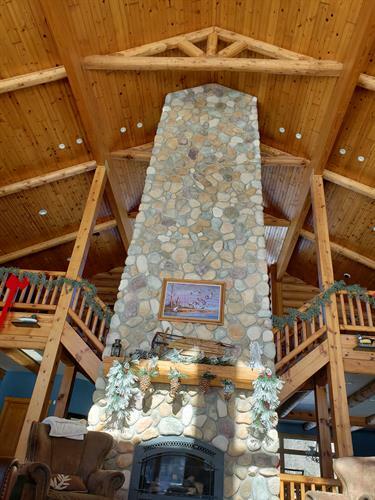 Work and/or relax in the luxury of this 7,000 square foot log home. 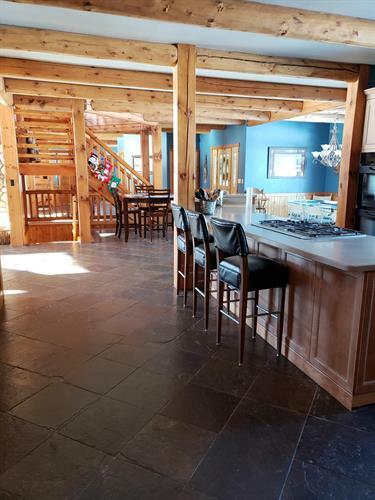 This gorgeous wooded private 15 acre retreat has seven bedrooms all with en-suite bathrooms, a den, great room, family room, dining room, and huge kitchen. Included on the main floor are two master bedrooms each with; (2) queen size beds, their own bathrooms and satellite television. 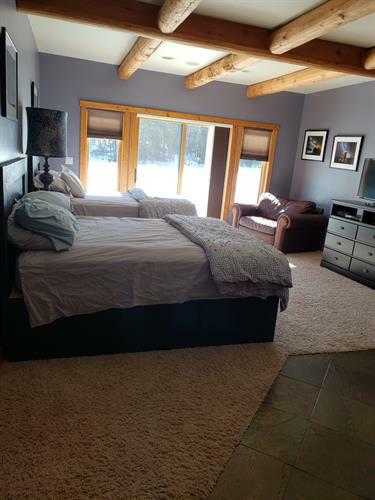 Additionally on the main floor is a den with 3 full size beds and a half-bath. On the second floor there's plenty of space for visitors to spend the night in comfort. Each of the four bedrooms has their own bathroom, king-size bed, closet, television with satellite, and views of the river or pond. 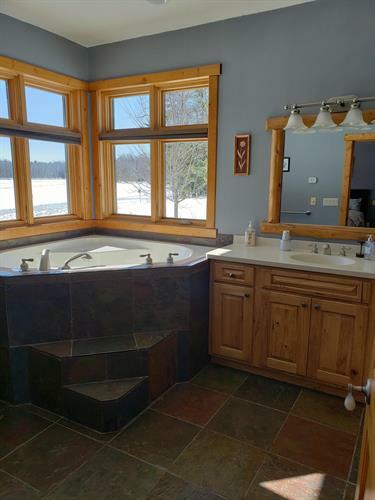 You will enjoy the privacy of the lower level. It has a bedroom with 2 queen size beds, television with satellite and a huge bathroom with a jet tub and separate large standing shower. Cooks will bask in the modern luxuries of the full kitchen with; ice maker, double ovens, dishwasher, garbage disposal and heated slate floors. Enjoy lively conversation with your family while gathering around the table in the sun-filled dining room. 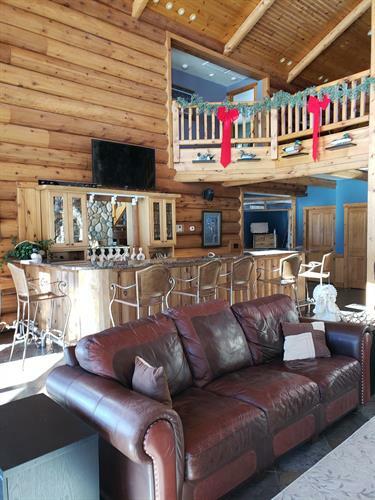 Entertain your guests in the grand living room with soaring ceilings and savor the view through the spectacular 30' glass wall overlooking the beautiful Menominee River. It's also equipped with a 28' granite bar, refrigerator and dishwasher. 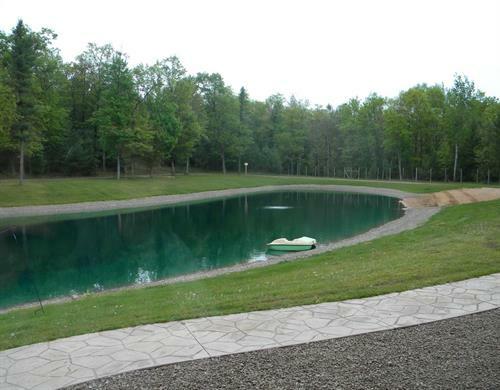 During the day fish for small-mouth bass right from the shore, float down the river in your tube, relax on the deck and just enjoy nature, or take a refreshing dip in the pond. At the night, experience the best star-gazing ever while enjoying the warm of a fire. 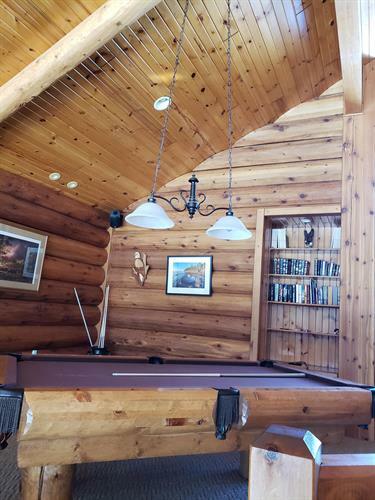 Unwind with family game nights and gather around the pool table, ping pong table, foosball table, or poker table. 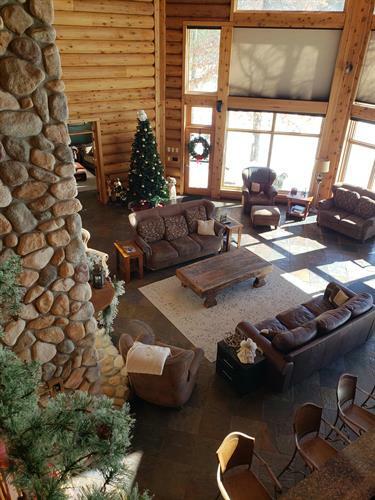 7,000 ft business retreat/vacation rental.